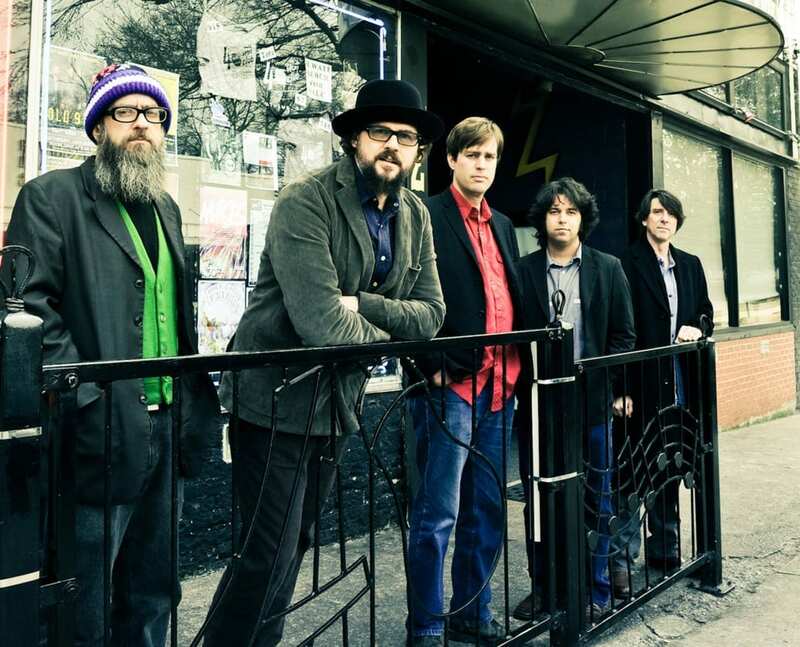 The Drive By Truckers will be on stage at this year’s festival. This year the Savannah Music Festival celebrates its 27th season as Georgia’s largest musical event. With a line-up of more than 360 artists from around the world performing in multiple venues amid the beautiful spring foliage and charming public greenspaces dotting the historic coastal city, the festival runs through Saturday, April 9. The Savannah calendar is filled with an astonishing array of musical productions — three, four and more each day — ranging from jazz trios, brass bands, chamber ensembles and the Atlanta Symphony Orchestra to opera singers, flamenco guitarists and rock, country, gospel, bluegrass, Cajun and zydeco groups. 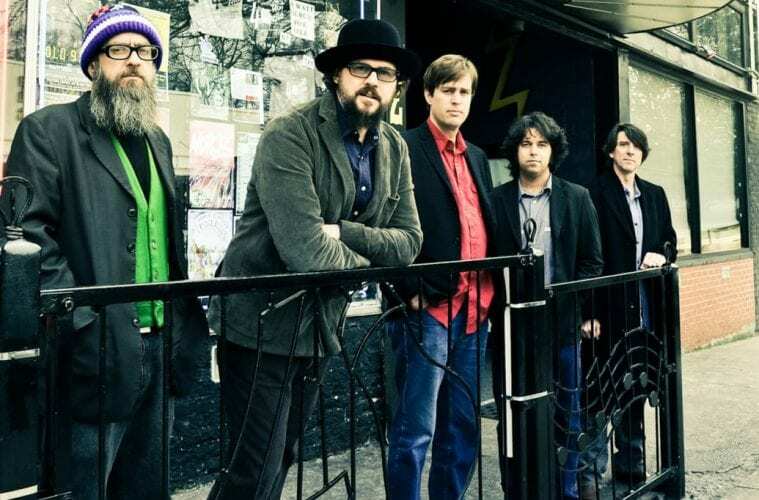 Some of the better-known homegrown names on this year’s bill include Dwight Yoakam, Dr. John, Ry Cooder, Ricky Skaggs, Vince Gill & the Time Jumpers and Drive-By Truckers. Already sold-out shows include the Portland-based polyglot cabaret troupe Pink Martini and “World of the Mandolin in Four Centuries” featuring the husband-and-wife team of Mike Marshall and Caterina Lichtenberg. The list of international artists includes Malian singer Rokia Traoré; a pairing of string quartets from Denmark and Sweden; and Romanian brass band Fanfare Ciocărlia. Special performances during SMF 2016 include the first U.S. staging of Pericles: Recomposed, a tribute to William Shakespeare during the 400th anniversary year of the Bard’s death based on research by linguist professor David Crystal. The play will be presented in Original Pronunciation, the accent spoken by Shakespeare’s original company of actors, which is widely considered more easily understandable than Shakespearean prose spoken with a modern English accent. Underscoring the onstage action will be Max Richter’s wonderful composition, Vivaldi’s Four Seasons: Recomposed, performed by the Cologne-based chamber orchestra, l’arte del mondo, under the direction of violinist and SMF Associate Artistic Director Daniel Hope. Another special concert features the Southern premiere of an original score by Wycliffe Gordon performed by a 19-piece jazz orchestra accompanying the 1920 silent film, Within Our Gates, by Oscar Micheaux. Highly controversial when it was released and no less provocative a century later, Within Our Gates is a frank exploration of race relations from the perspective of the black community. Gordon’s score draws upon multiple styles and modes spanning ragtime, swing, blues, bebop, funk and shades of hip-hop. The music is composed with passages designated for improvisation requiring the musicians to play based on the onscreen action. The Savannah Music Festival’s Rob Gibson. The SMF also organizes educational programs such as in-school lessons, theater field trips and public library concerts. During the festival pianist Marcus Roberts presides over Swing Central Jazz, a clinic and showcase for some of the country’s finest high school jazz bands. Mandolin master Mike Marshall, with help from artists such as Julian Lage, Bryan Sutton and Darrell Scott, mentors a group of 16 aspiring string musicians in the Acoustic Music Seminar. It all boils down to a few weeks’ worth of serious listening and hustling for SMF artistic director Rob Gibson. 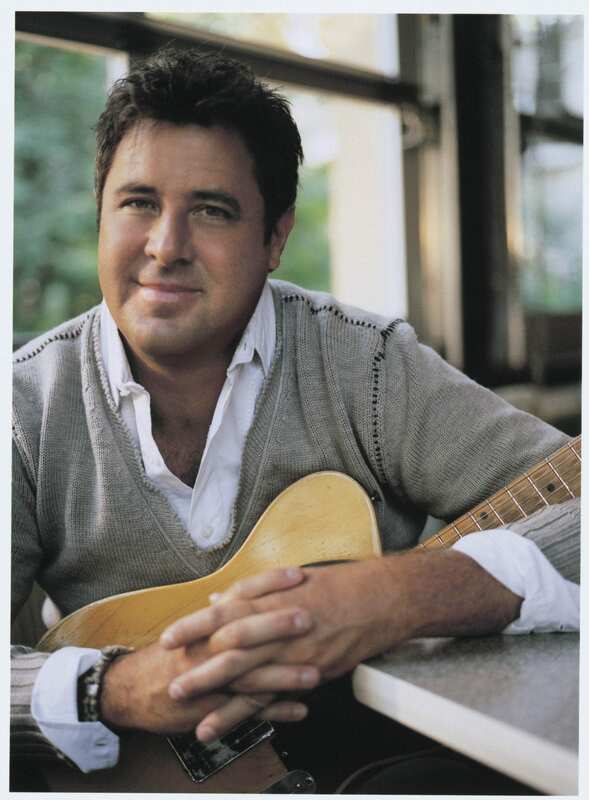 The former executive producer and director of jazz at Lincoln Center and a native Atlantan, Gibson began presenting concerts in the 1980s under the banner of Quantum Productions. Since taking the helm in Savannah in 2002, Gibson has overseen an annual budget increase from $600,000 to more than $3 million, a doubling of full-time staff, and robust ticket sales. Last spring more than 35,000 people, hailing from 42 states and 16 countries, attended the festival. In 2012, the SMF was one of two organizations that received the first annual Governor’s Award for the Arts and Humanities. Gibson talked to ArtsATL about his inspirations for programing and why an eclectic mix is so important to the festival’s success. ArtsATL: One of the programming categories in which the Savannah Music Festival stands out from other similar events is “world music.” How does this year’s festival stack up in this regard? Rob Gibson: I’ve never really loved the term “world music.” I prefer thinking about Baltic brass bands and Malian guitarists in terms of good music or not good music. That said, there is probably more international music than ever in this year’s festival. ArtsATL: Did that uptick in concerts by international artists stem from a group decision to program more of that type of music? Gibson: As artistic director, I make those kinds of decisions on my own. 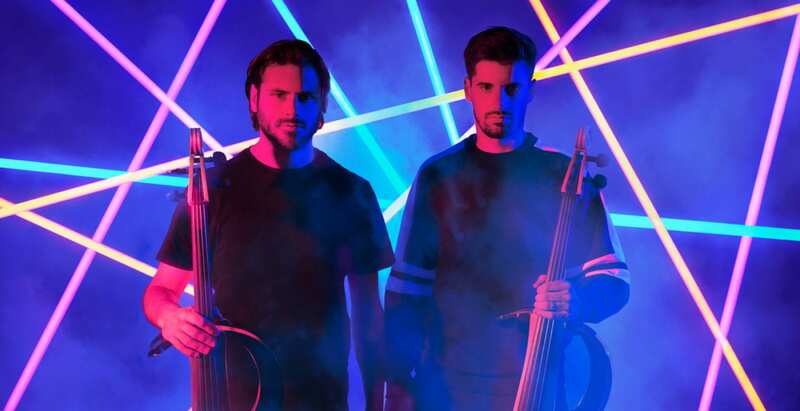 We have a lot of international music that doesn’t necessarily fall under the rubric of “world music.” Take the Danish String Quartet, for example. They have an album called Wood Works, which is a bunch of Scandinavian folk songs. That’s quite different than those same musicians playing Beethoven, which we also have them scheduled to perform. In any case, whether someone wants to call Wood Works world music is not something I’m particularly focused on. 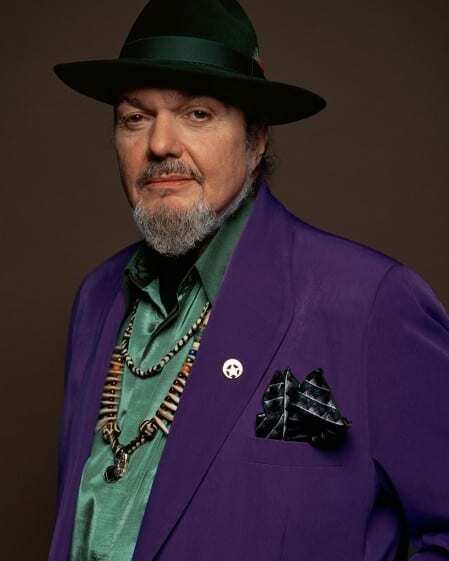 Dr. John is one of this year’s featured performers. ArtsATL: Does the fact that people now have access to an incredible range of music from everywhere on the planet make programming easier for you? 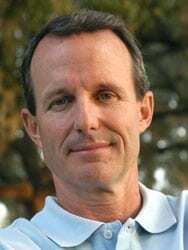 Gibson: It should be easier, if it weren’t for a corporate structure already in place on our planet that shoves terrible music down so many people’s throats, like Super Bowl halftime shows with Beyonce trying to make political statements. On the other hand, if you are growing up playing the violin today you have more access to information about the history of your instrument than anyone has ever had. If you were Daniel Hope in 1981, trying to learn a new piece of music, you had to find the sheet music or a recording, which didn’t exist on a handheld digital device. Now you can watch YouTube clips of just about every great violinist of the last century — unless you live in China where YouTube is difficult to get. ArtsATL: Is the struggle to educate a wider audience and expose people to new music the same as it ever was? Gibson: We still face the same problem, which is that about 99.9 percent of the population has never heard of the groups we are bringing. There are probably 10 people in Savannah who know who Rokia Traoré is, when there should be thousands. 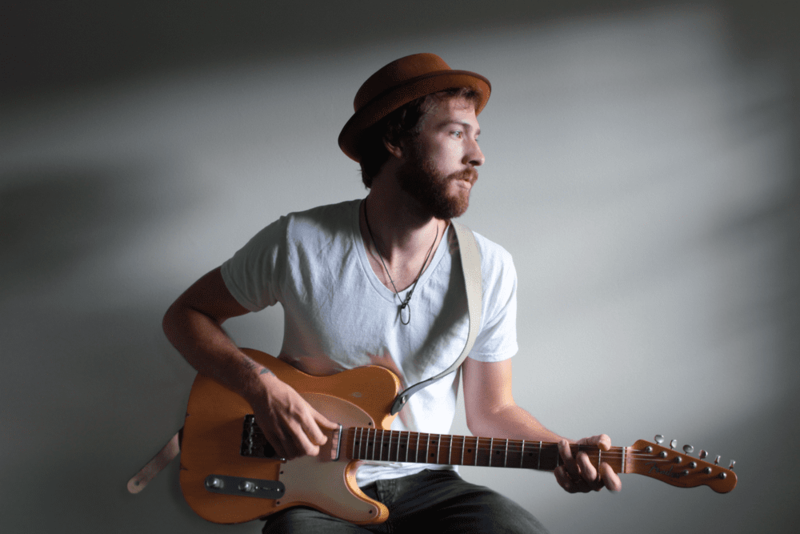 ArtsATL: How do you sell tickets to a concert by an unknown performer? Gibson: We have developed a lot of trust with the audience. That’s what you do over a long haul. Whether it’s a ballet troupe or a philharmonic or a jazz organization, it’s all about trusting the taste and authority of the artistic director or the person making the programming decisions. You might also be surprised how important things like good photography are to ticket sales. Last year we put Kodo (a Japanese percussion troupe) on the inside cover of our November preview brochure. It was a very cool, brightly colored, photo of this fierce-looking Japanese guy playing this massive drum behind this dramatic dragon figure. I wouldn’t have thought too many people had ever heard of Kodo, but it was the first concert in the festival to sell out. 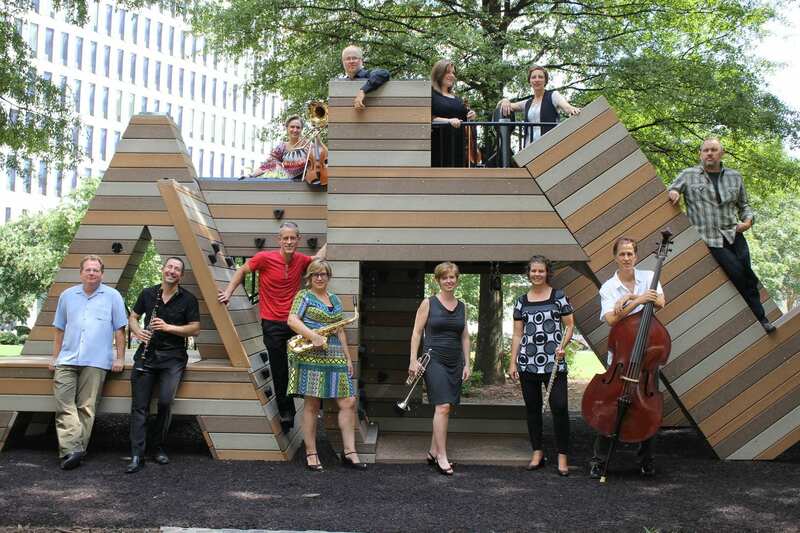 ArtsATL: Although, as you said, the majority of programming decisions are made by you, the SMF also has three associate artistic directors who can be generally classified as consultants in the areas of classical music (Daniel Hope), jazz (Marcus Roberts) and acoustic music or Americana (Mike Marshall). How do their contributions shape the contour of the festival? 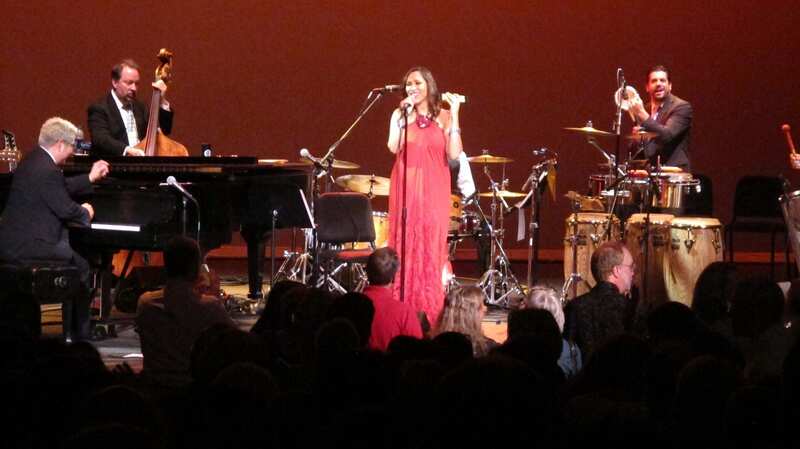 The Savannah Music Festival has become known for its amazing array of music, including (pictured here) Pink Martini. Gibson: When I first got here, I knew that, if we were going to have a killer chamber music series, I needed to hire an individual to come in and organize those concerts and choose the musicians. This will be Daniel’s 13th festival. He plays so many chamber music festivals in Europe and America, so he knows all the players. When you are in an international touring classical musician of Daniel’s caliber, you play primarily with American musicians in America, and in Europe you play with European musicians. Daniel’s vision included bringing European musicians over here to play, to ensure a mix of talent, which we feel is one of the things that distinguishes our programming from other festivals. This year, we’re bringing in the Danish Quartet for three completely different programs, and then flying them home. They’re doing the Wood Works pieces, which I mentioned, plus an all-Beethoven program and a collaboration with Daniel. I don’t know of any other festival doing something like that. ArtsATL: You have a longstanding relationship with Marcus Roberts. In what way is that relationship manifested within the context of the SMF? Gibson: In 1989, when I was directing the Atlanta Jazz Festival, Marcus played the first solo recital he had ever performed. We worked together again at Jazz at Lincoln Center. When I came to Savannah I told him I wanted to do some cool stuff. We had done the Ellington competition for high school jazz bands in New York. I told him we should do something similar here. Marcus is such a great educator. He has produced so many extraordinary musicians and his 11-piece band (The Modern Jazz Generation) is incredible. 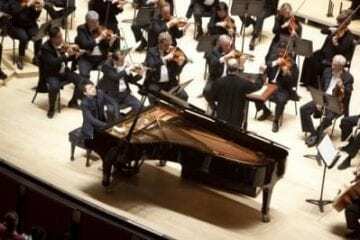 ArtsATL: Piano trios are not exactly uncommon. What’s the distinguishing factor in this case? Gibson: In classical music, the piano trio is one of the essential forms, which has been evolving for some 200 years. When it began, with (Joseph) Hayden, it was a piano as the main solo instrument accompanied by a violin and cello. 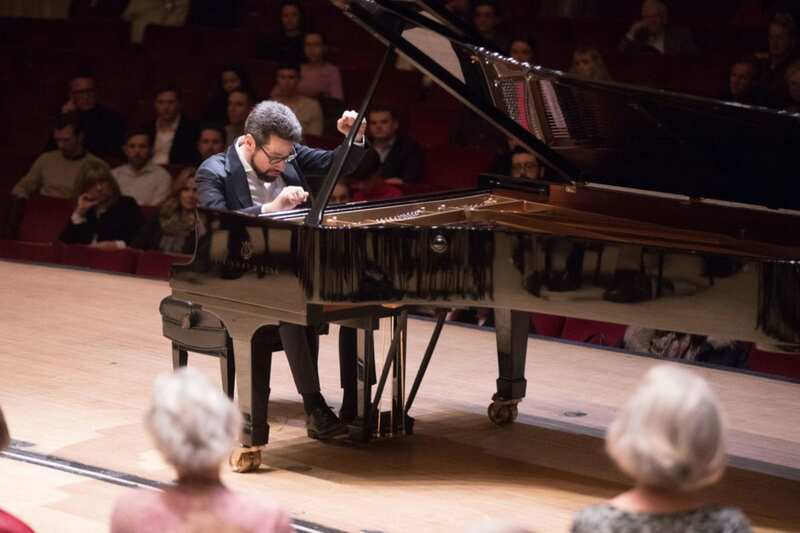 By the time it got to (Antonin) Dvořák, the form had changed and all the instruments were playing different lines. Similarly, in jazz, the early trios were basically the bass and drums accompanying the piano. 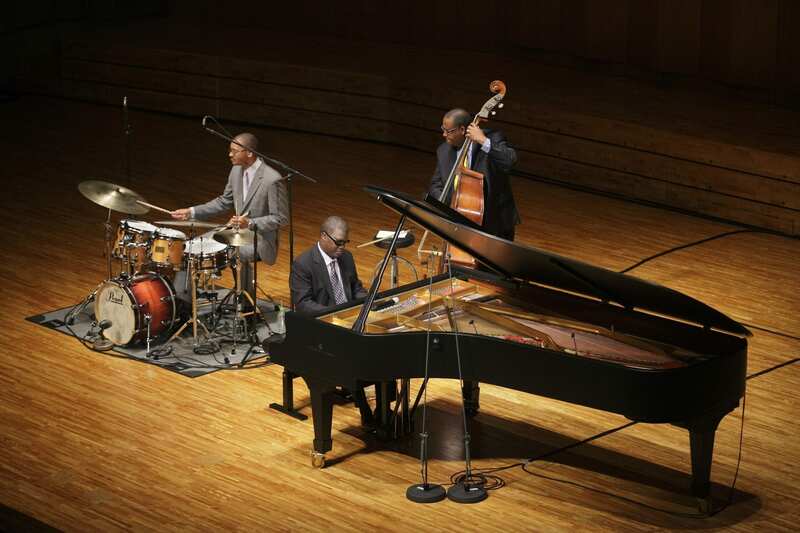 One of the great contributions that Marcus has made to this music called jazz is the idea that a piano trio is a format in which everybody can play the melody, if they want to, and contribute to the performance in different, but equal, ways. He also writes these amazing arrangements for trio, which prove the wisdom of his approach. So, what we’re going to do is put two trios onstage — one jazz with Marcus leading and one classical featuring Daniel Hope — side-by-side, and let them alternate performances. It’s not going to be a battle in any way, shape or form; rather, it’s going to be an unveiling of the format of each instrument. ArtsATL: Mike Marshall is another musician you met early in your career as a promoter and producer. What made you bring him on board at the SMF? Gibson: I first met Mike in the 1970s when he was with the David Grisman Quintet. We brought him to Atlanta for a Quantum show, and he’s been working with us at the SMF for the last 10 or 11 years. My reason for bringing Mike into the picture was to organize some sort of education project. There wasn’t anything around for all the [kids] who were getting interested in bluegrass and other kinds of acoustic string music, which people call Americana. So we created the Acoustic Music Seminar, which Mike and some other great musicians do every year. The AMS culminates in a concert featuring all of the seminar participants called “Stringband Spectacular,” which invariably is one of the most enjoyable events of the festival. You’re watching teenagers who are writing and playing their own music and it’s just inspiring. Also, this year, Mike will be sitting in with Väsen, a string trio from Sweden who play music based on traditional Swedish folk songs. He’s performing with his wife, Caterina Lichtenberg, in a concert celebrating 400 years of history of the mandolin. 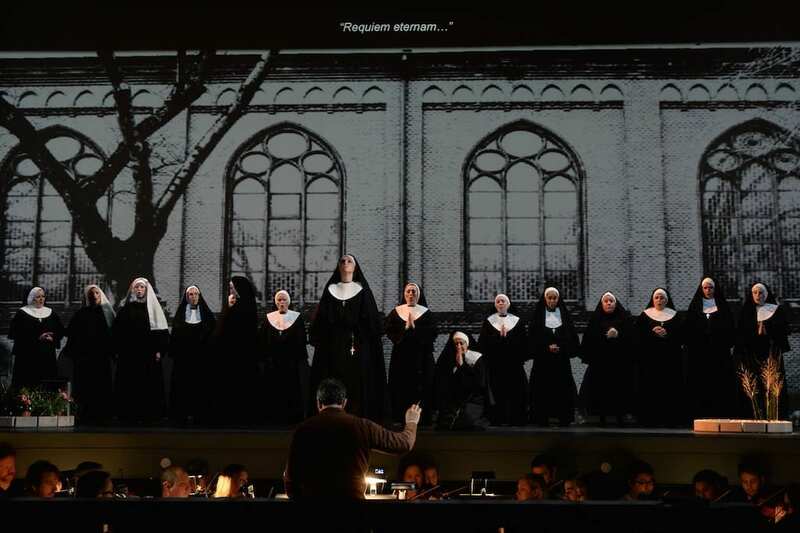 ArtsATL: Last year, the SMF schedule included two minor operas by Giacomo Puccini, Gianni Schicchi and Suor Angelica. What is the status of opera programming at the SMF? Gibson: The opera program last year was very successful from an artistic standpoint; unfortunately, it was not so successful from a box office standpoint. Opera is very expensive to produce and we experienced a substantial blow to the gut. I had to make the decision to not risk that happening again. Instead, Sherrill Milnes and his wife, Maria Zouves, the founders of VOICExperience who are world class performers and teachers, are curating two concerts. “Mozart in Prague: An Operatic Journey” features scenes and arias from Mozart’s operas sung by soprano Micaëla Oeste along with Amy Shoremount-Obra, who made her Metropolitan Opera debut last season. “Arias & Encores,” the other operatic show, includes songs from American, French and Italian composers as well as some musical numbers. Overall, this year’s festival is the most ambitious and richest in terms of artistic quality. It’s also, not coincidentally, the most expensive one we’ve ever produced.